Carl Richardson, 19, was killed for trying to collect a debt from a barber, police said. 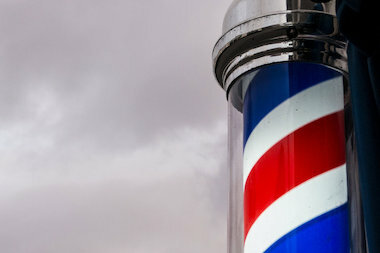 QUEENS — A Laurelton barber killed a teenager Thursday by plunging a pair of shears into his chest during a dispute over headphones, a police spokesman said. The barber, Cedric Simpson, 34, was at work at 227-14 Merrick Blvd., near 227th Street, when the 19-year-old victim, Carl Richardson, arrived about 1:50 p.m., police said. The victim demanded Simpson fork over the approximately $90 he owed for the headphones Richardson sold him earlier, an NYPD spokesman said. The men started arguing outside, but then the fight turned physical, spilling back into the shop where Simpson grabbed the scissors and stabbed Richardson in his chest, police said. Richardson, who lived in Springfield Gardens, was taken to Franklin Hospital and pronounced dead, police said. Simpson, of Cambria Heights, was arrested at the scene on charges of murder and criminal possession of a weapon, the NYPD said.